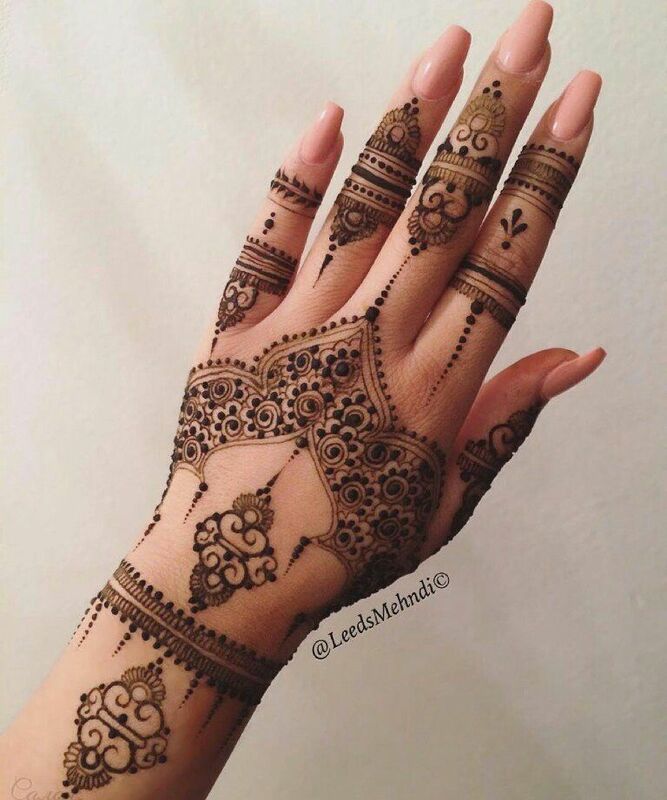 Take a look at 18 stunning Arabic mehndi designs for the upcoming festive and wedding season! Mehndi is one of the most traditional and exciting pre-wedding ceremonies one can possibly enjoy! And because a lot of stress is given to the customs in our culture, therefore, women follow this ritual with great fervor. There is singing and dancing on folk songs. Mehndi paste is applied on the hands and feet. 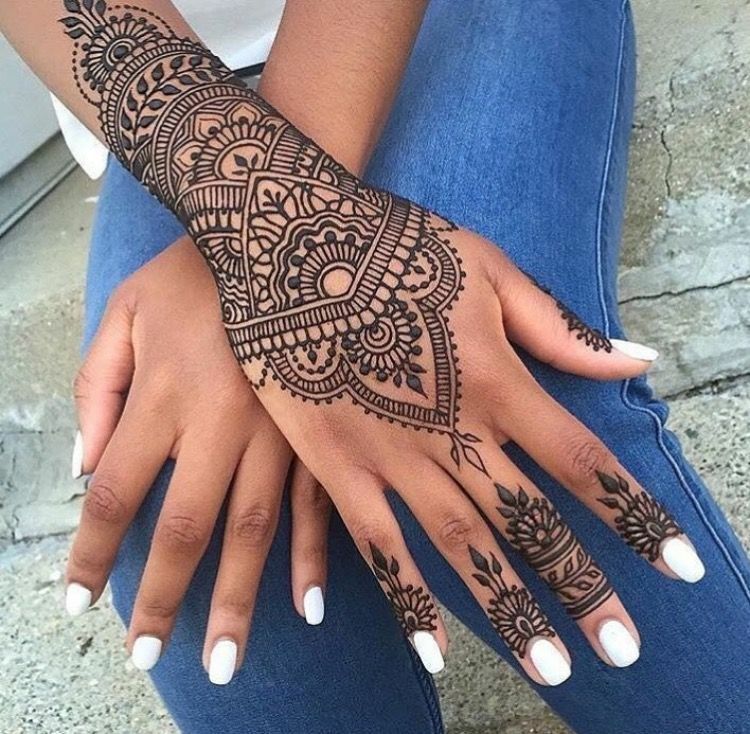 The bride’s henna design is the most elaborate one. Often intricate and sometimes embellished too. But, times are changing. Working girls with little time and preference for minimalist design theme are opting for simple yet stylish Arabic mehndi designs not just at a friend’s or a relatives wedding but even at their own marriage. 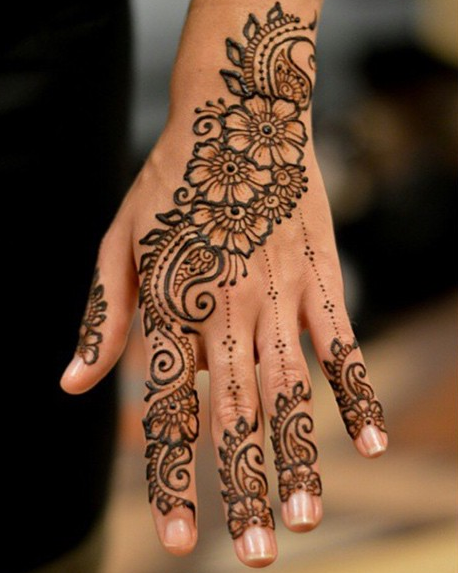 The importance of wearing mehndi at your own wedding signifies the bond of the beautiful alliance. It also represents the love and affection between the couple and their families. During the mehndi ceremony, the bride and her immediate friends as well as family are dressed in gorgeous and traditional outfits. From lehengas to Anarakalis to lehenga-sarees and these days, even Indo-western fusion outfit ideas. The celebration embraces colors, music, giggles, food and all-in-all, the entire atmosphere is so cheerful. 1. It’s unique and less-elaborate. 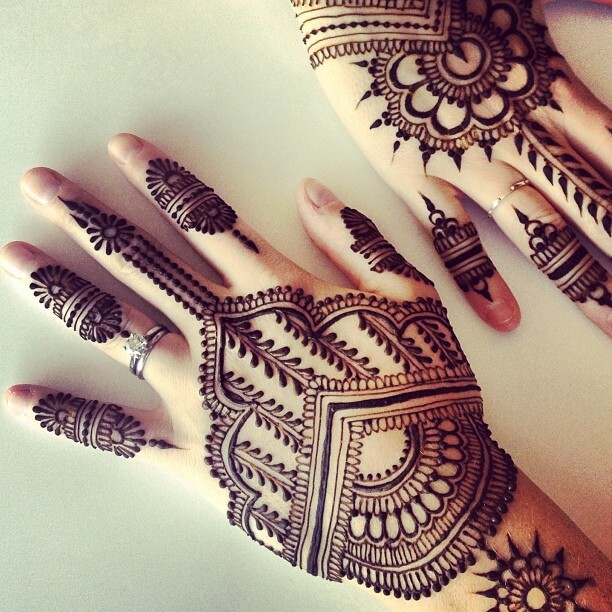 Besides, Arabic mehndi is versatile too. It suits all occasions and looks absolutely stunning. 2. Easy-to-do at home if you are a pro at it. 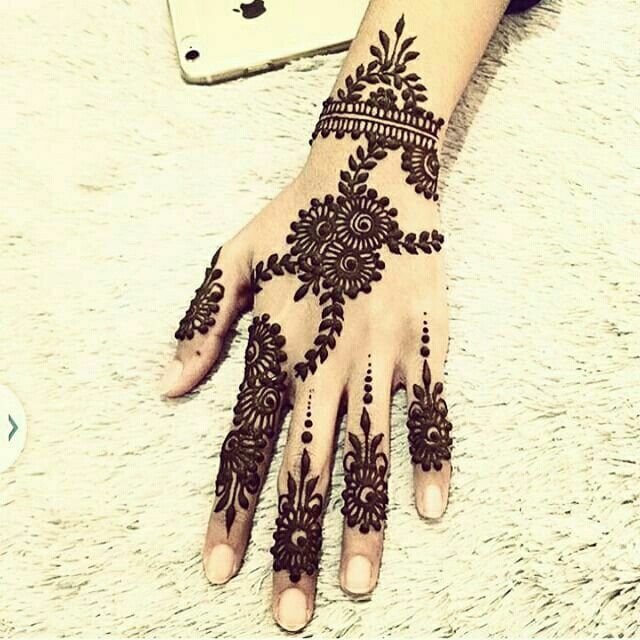 You can create simple vines and floral designs on the palm and index finger or the wrist. 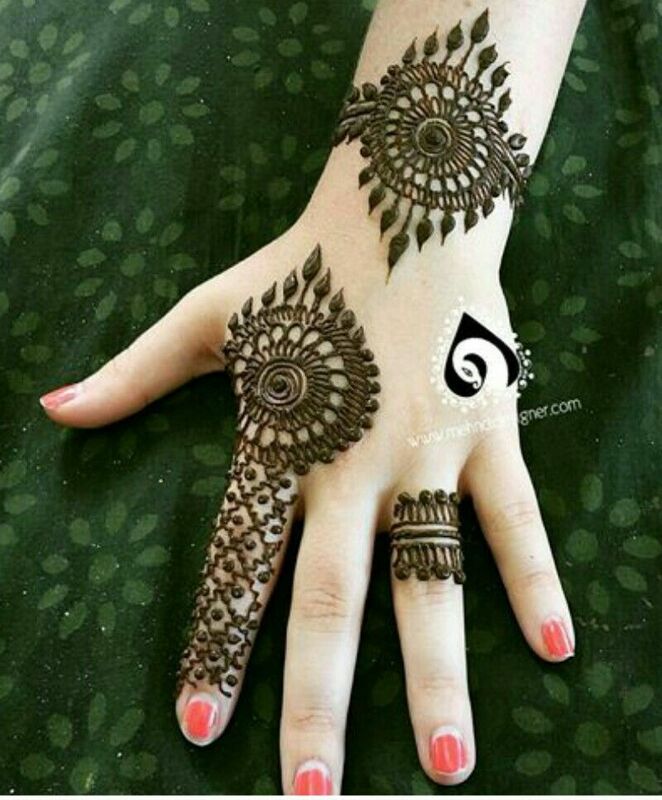 All you need is a mehndi cone and a flair for drawing neat designs. Angular designs, big hearts, and round designs are perhaps the easiest to try at home! 3. 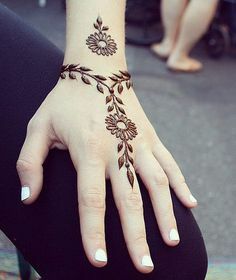 The best thing about Arabic mehndi design is the fact that you can kick up the notch of its overall look and feel by adding several elements of embellishment, such as glitter, rhinestones, crystals. 4. 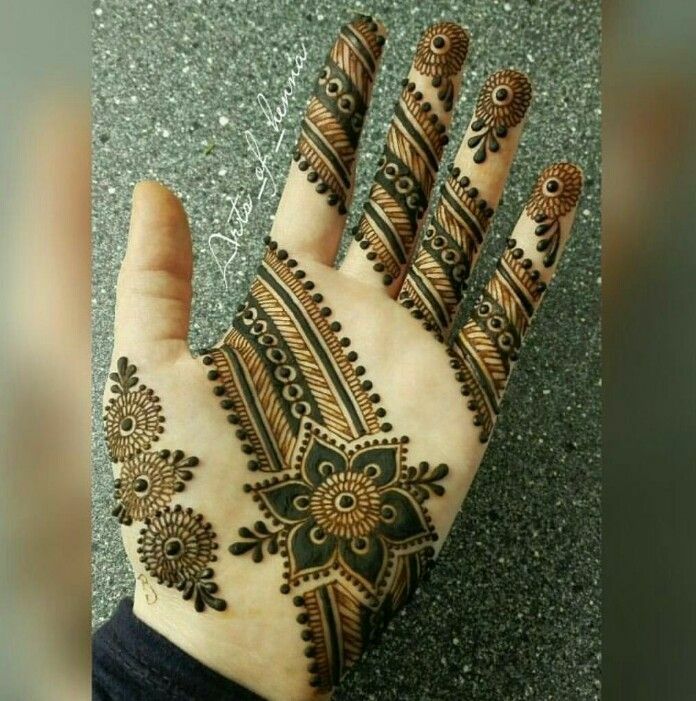 Evergreen designs can never let Arabic mehndi go out of fashion. Beautiful artwork of peacock feathers, round patterns, leaf and floral motifs looks fashionable and trendy all round the year. 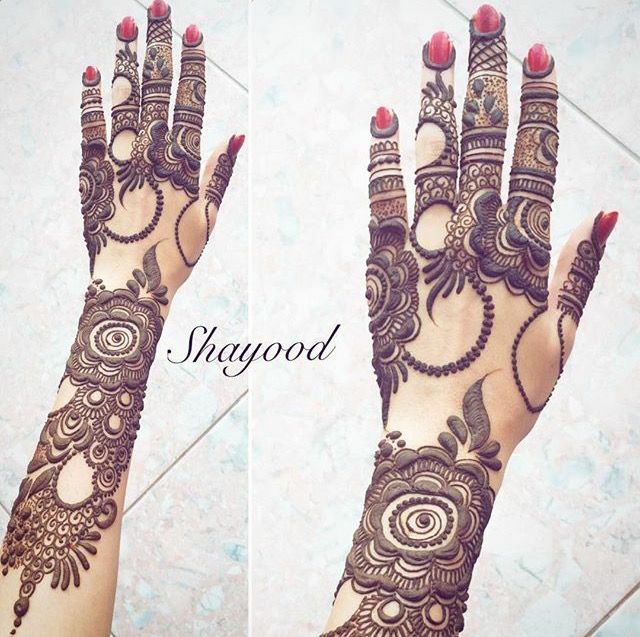 Take a look at these stylish and fashionable Arabic mehndi designs for brides and festive season. Do tell us which one has been your favorite!